In many ways, motorcycle insurance is similar to car insurance. The coverage you purchase will provide you with the ability to repair or replace your bike if you are involved in an accident. It will also help you pay for any damage that you may cause to another person or another person's property with your bike. The differences between the types of coverage you can buy hinge on the fact that a motorcycle tends to cause less damage to others during an accident, but it is far more likely to sustain severe damage from other vehicles. The possibility of severe injury while riding a motorcycle is also much higher than it would be for someone driving a car. 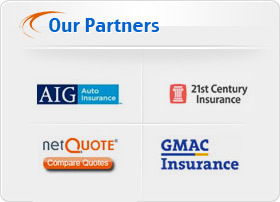 You will usually pay far less for motorcycle insurance than you would pay for car insurance. This is because most motorcycles are worth far less than automobiles. If you drive a rare or extremely expensive motorcycle your rates will be higher, but in general, you should be able to pay less for your motorcycle coverage. The fact that motorcycles do not cause severe damage in most accidents is another reason insurance rates are lower. 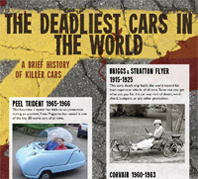 Even a small car can cause much more damage than a large motorcycle in the same accident. If you only ride your motorcycle during the warmer months, you can purchase motorcycle insurance that goes dormant during the months when your bike is in storage. Since most people tend to drive their cars all year, many car insurance policies do not make allowances for several months of storage as a standard part of coverage. A motorcycle rider can effectively cut insurance costs by a third or even half if they can prove to the insurance company that they do not ride their motorcycle for a certain period each year. The time when the bike is in storage and the policy is suspended will not count as a formal break in coverage. Every insurance company is a little different, so you will need to discuss how you can qualify for this type of dormant coverage policy with your motorcycle insurance company. There are certain types of coverage that you have to purchase when you shop for motorcycle insurance. Car insurance typically covers all of the passengers in the vehicle as well as the driver under mandatory liability coverage. This insurance pays for damages, injuries and other expenses your passengers may incur if you are at fault for an accident. However, motorcycle insurance doesn't always cover your liability for passengers on the motorcycle. In this case, riders are wise to purchase Guest Passenger Liability coverage. Another big difference between motorcycle insurance and typical car insurance is that Personal Injury Protection (PIP) does not cover a motorcycle rider. Most states require that anyone who operates an automobile must carry PIP for the injuries to the operator and occupants of the vehicle if involved in an accident. Motorcycle insurance does not cover riders or passengers. PIP only affords protection for pedestrians injured by your motorcycle. The main reason this coverage is not available for a motorcycle rider is that the chances of injury to the rider are significant in any type of accident. Insurance covers damage from unexpected events. Insurers see motorcycle injuries as likely and probable. While motorcycle riders cannot always purchase personal injury protection coverage, they are usually able to find coverage through their motorcycle insurance company. If motorcyclists want medical insurance, they must buy Medical Payments (MedPay) coverage. With the high risk of an accident on a motorcycle, it makes sense to purchase this supplemental coverage to gain protecting from the high cost of medical bills. MedPay only covers medical costs not paid by other types of medical insurance. Medical payments insurance is a supplemental part of the policy, so you will have to pay an additional premium in order to take advantage of the coverage. A medical payments policy will cover any medical bills personal injury protection insurance or your health insurance does not cover. Since motorcycle accidents can result in severe injuries, it is a good idea to carry as much medical protection as you can afford. Medical payments coverage will also help with injuries that you might sustain if involved in a single vehicle accident. The Medical Payments coverage will kick in when you exceed your coverage through your health insurance plan. Just like car insurance companies, motorcycle insurance companies offer several different kinds of discount for riders who qualify. A recent surge in motorcycle sales in the United States has led to stiff competition between motorcycle insurance companies for the new business. This has led to special discounts made to attract more customers. You can qualify for discounts if you are an older rider with more experience. Many companies offer discounts to motorcycle riders who also insure their cars through the same company. Riders who complete specific types of safety training may also be eligible for safety discounts on their motorcycle insurance. Companies that offer car insurance discounts for customers who maintain good safety records and install safety equipment on their vehicles tend to offer the same discounts for motorcycle riders who do the same thing. When you are shopping for motorcycle insurance, make sure you look into the different discount packages offered by each company.